What is 40 Nuggets? 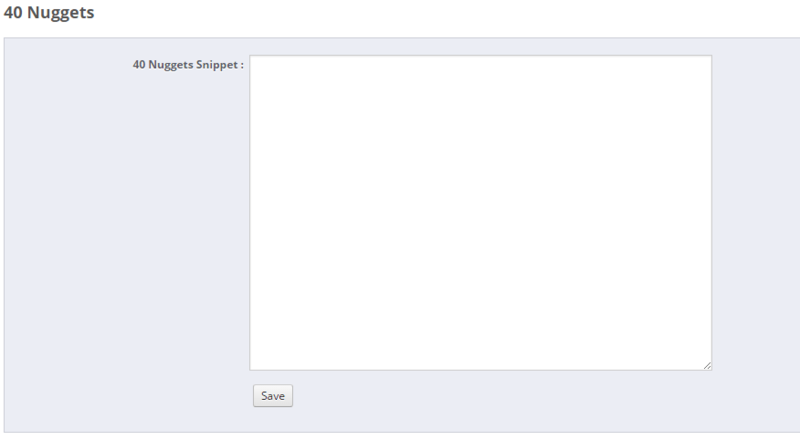 It is the best way to control pop up modals on your PrestaShop website. 40 Nuggets will let you target different parts of your site with different modal windows. You can off different customs different messages or rewards. 40 Nuggets also is optimized for exit intent marketing as well. If it senses a user is about to leave your site it will fire off your modal window to try to capture a conversion. This module will allow you to install the 40 Nuggets tracking code to your website so you can start utilizing the best modal tracking service in the industry. This module does not require anything special for full SSL websites.